For a long time now my first thought when we hit a snag or have a problem - is ask for help. A few years ago – in my role at my previous company – I noticed developers getting online and asking for help earlier and earlier in the development process. Some starting writing blogs or articles to help other developers solve a problem they had encountered. Companies that we actually pitched against for jobs, at a development level started helping each other to solve their problems together. As various Social Media channels developed and opened things up, even more, the conversations became more immediate and fluid. I must admit at first I had a hard time reconciling the competitive nature of “getting work” with the open and free exchange of information involved in actually doing it. Eventually, the penny dropped and I embraced this ethos. For a long time now my first thought when we hit a snag or have a problem - is ask for help. People who “know answers” generally love helping. 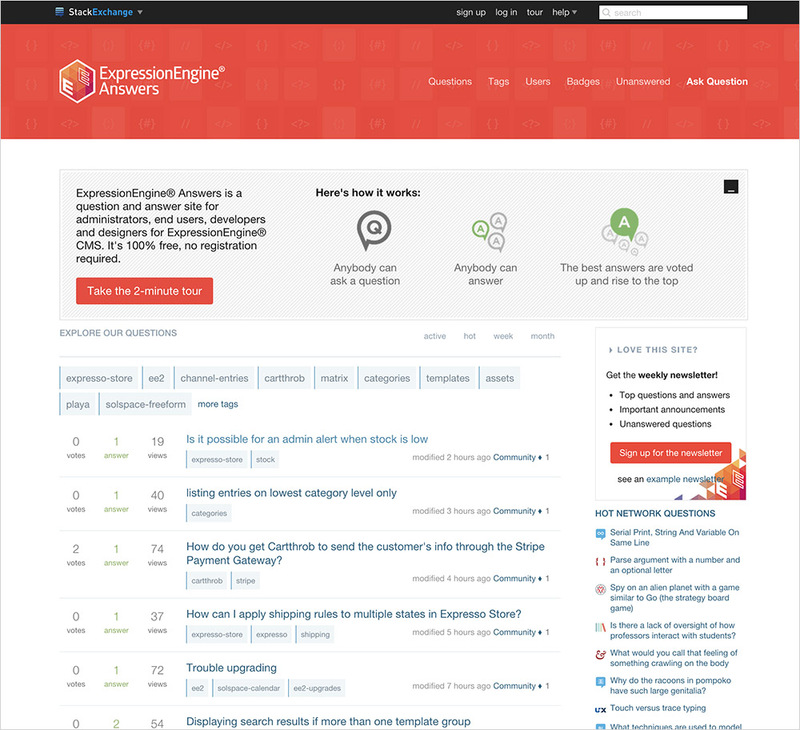 A great example of this in action is a site called Stack Exchange (Pictured above). This site lets developers like us help each other and receive kudos for doing so. People can vote up correct or helpful answers and the “answerer” gets virtual points for doing so if their answer is popular. On StackExchange there is no money earned by answering questions – the participant simply builds their digital reputation. As this reputation grows their answers carry more weight within their respective communities. Having a reputation for helping others tends to get people to pay more attention to your questions as well. At Story, we are proud of the communities and colleagues we work with.